Extraordinary, beautiful, curious, deadly challenging; orchids have obsessed horticulturists for centuries; they can be seen at an orchids-themed exhibition at Tallinn Botanical Garden, LETA/Tallinn.ee reports. The traditional orchid exhibition present delicate and elegant miniature plants as well as bolder and bigger species, all tough survivors, all equally beautiful. The exhibition takes place from March 2 to March 10, 2013. Like people, each flower has its own distinctive character which can be seen when examined closely, sometimes with the help of a magnifying glass. This can make orchids difficult to grow. Gardeners have learnt how to manage their demanding nature and many formerly rare species flourish today. TALLINN — Estonia's thriving brown bear population has spread nationwide after hunters eased up in their traditional territory, an expert in the Baltic state said Friday. "Bears have been able to expand their living range from central Estonia through to the western regions on the Baltic Sea, mainly because hunters have been avoiding killing mother bears in central Estonia," Peep Mannil, head of wildlife monitoring at the Estonian Environment Information Centre, told the daily newspaper Eesti Paevaleht. The brown bear population of heavily forested Estonia is estimated at between 650 and 700, making it the third-largest in the European Union after Sweden's and Finland's. The bears' traditional territory has been along Estonia's eastern border with Russia, and the centre and south of the small republic of 1.3 million people. Hunting is strictly controlled, and since 2003 hunters have been required to fill out a detailed questionnaire on every bear shot in order to improve collection of data on the population. As a result of the bears' spread, the number hunted has doubled from 27 in 2007 to this year's 55, according to the Estonian Environment Information Centre. Most of Estonia's bears have already started hibernation, or are poised to. Tracking bears' footprints in Estonian forests has become a new attraction in recent years offered by some farmers to bold tourists. Fainter-hearted nature lovers opt to watch them online thanks to woodland webcams. But not all Estonian farmers are happy, as honey raids by bears have hit beehives with increasing frequency in recent years. 29/09/2012 : Nice Crane/sookurg Grus grus migration in the morning between 9.00-11.30. In total 1 019 Cranes has been counted today flying over the Kihnu island. Most of the flocks passed our observatory along western side of the island, about 3km off the shoreline. Considering migration times those should be Cranes making stopover in Estonia and now continue their journey to the wintering areas (mostly in France and Spain). This is possible that this will be the best day of Crane migration on Kihnu island because flocks flying over the water are spreading on the sea and not concentrating around Kihnu island. Together with migrating Cranes, 16 Bewick Swans/ väikeluik Cygnus columbianus has encountered on migration. Also other bigger landbirds showed nice movement today - Wood Pigeon/ kaelustuvi Columba palumbus 1 160m (best for the autumn season), Sparrowhawk/ raudkull Accipiter nisus 86m, Hen Harrier/välja-loorkull Circus cyaneus 5m (best for the autumn season), Merlin/ väikepistrik Falco columbarius 5m, Peregrine Falcon/ rabapistrik Falco peregrinus 2 adult migrating (+2 local birds - adult and juvenile) and Hobby/ lõopistrik Falco subbuteo 1 migrating and 1 local individual flying around. The real autumn of Southern-Estonia begins on 14th and 15th of October when traditional music friends and lovers are gathering in Viljandi to put an end to the summer season and have a great party before the wild winter colds. The juiciest and greatest harvest of traditional music is brought out onto the stages of Traditional Music Center and into workshops, for examination. From one side it is a great chance for exchange students to get to know Estonian and Pan-Finno-Ugrian great souls and their traditional music with deep roots. Also to listen to ethnic music and stories behind the seas. On the other hand, Harvest Fest gives a chance to party, to find new friends and gather a lot of emotions. On both nights, folk’n rock bands and etno DJ-s, are taking over the stage and the Traditional Music Center. To the disappointment of Estonian researchers, Tõnn, a young greater spotted eagle whose exciting travels have been tracked via GPS by bird enthusiasts across Europe, seems to prefer life in Sweden over his birthplace in Estonia. Eagle experts had hoped that the endangered bird - with only 20 known couples, it is the rarest and least reserached eagle in Europe - would finally settle down in Estonia this year, wrote Eesti Päevaleht. Greater spotted eagles are not native to Sweden, and solitary females in Estonia are being forced to mate with the more numerous lesser spotted eagle, leaving fewer purebreds. Born in Lääne County in 2008, Tõnn's summertime migration takes him to El Hondo national park, in the Spanish Mediterranean. Tõnn took off to his spring nesting area at the end of March, flying sometimes 300 kilometers per day, to arrive in southern Estonia on April 13. But after a few days in Estonia, the young bachelor kept going, as in previous springs, toward St. Peterburg, to Finland, to northern Sweden, and eventually to his new adopted home, Östersund, in central Sweden. Estonian bird enthusiasts were, nevertheless, content to see that Tõnn bothered to make a stop in Estonia, after cutting straight through Denmark when flying south last winter. Tõnn can be tracked here. TALLINN — A webcam set up in an Estonian forest has proven an unexpected hit among Internet surfers who want to catch a glimpse of wild boars feeding and frolicking in the snow, organisers said Wednesday. "Such massive interest has been a really big surprise for us. It shows that people feel a need to have a connection with nature," said Gennadi Skromnov, the man behind "Metsakaamera", or "Boar TV". The webcam was set up in December by a hunting association in the heavily-forested Baltic state, which is one of the most Internet-wired countries in the world. The site (http://www.looduskalender.ee/en/node/2165) is notching up around 75,000 clicks a day, with almost half the visitors based abroad, notably in the Czech Republic, Germany and Nordic nations. For the boars, the trade-off for appearing on camera is a regular feed of barley, wheat, apples and acorns, served up every evening to attract them, said Mait Siimson of the Tahtvere hunters' association. "Seventeen wild boars usually gather for dinner around 5:30 to 6:00 pm (1530-1600 GMT), when it's already dark, and stay for around an hour," Siimson told AFP. "The site is probably so popular because it's much more interesting to follow wild boars than birds or smaller animals," he added. The webcam boars are also spared the unwelcome attentions of the association, because the feeding site is not in an area where its members hunt. OSLO (Reuters) - The Baltic Sea region is likely to warm faster than the world average this century because of climate change, disrupting fisheries and extending crop growing seasons, a report said on Wednesday. The study, by 80 scientists from Baltic nations including Russia and Germany, said temperatures were already rising more quickly than the global average, cutting the number of days when parts of the sea are clogged by winter ice. "A warming of the mean annual temperature in the order of 3 to 5 Celsius (5.4 to 9.0 Fahrenheit) is projected for the total basin during this century," according to the report adopted by governments around the sea in the Helsinki Commission. A U.N. climate panel projected last month a "best estimate" that world temperatures will rise by a lower 1.8 to 4.0 Celsius (3.2 to 7.8 F) this century because of a global warming widely blamed on human activities led by burning fossil fuels. Wednesday's report said that warming might disrupt life in the almost land-locked Baltic Sea, where species such as herring and sprat are already struggling from pollution, a legacy of the former Soviet Union to the east. Warmer temperatures might also bring more rains that could decrease the average saltiness of the sea, upsetting marine life adapted to brackish conditions. Scientists say that northern areas may be warming faster than the world average because darker ground and water, once exposed, soak up more heat than reflective ice and snow. The Helsinki Commission, representing nine Baltic Sea states and the European Union, seeks to work out ways to fight pollution in the region. But warming could also extend growing seasons in the Baltic region, where 85 million people live in an area from St. Petersburg in Russia to Copenhagen in Denmark. TALLINN - A major oil slick, which could contain some 40 tonnes of fuel, has been detected off the coast of Estonia, one week after a cargo vessel sank in the Baltic Sea. "We have detected a kilometre-long oil slick 4.6 kilometres (2.8 miles) off the Parispea peninsula", on Estonia's northern coast, the border guard said in a statemen. "Although the pollution is 42 kilometres away from the place where the Runner 4 freighter sank, we have reason to believe the oil slick originates from that vessel," border guard spokeswoman Helena Loorents said Monday. A lifeboat, two rescue rafts and an emergency buoy from the Runner 4 -- a Dominican Republic-flagged cargo vessel which sank after a collision with another vessel in the frozen Gulf of Finland -- have been recovered near the oil slick. "An underwater video showed a large crack in the middle part of the ship which proves the story that the contents of one of its fuel tanks has risen to the surface of the sea," Toomas Liidja, a senior inspector with the Environmental Inspectorate, told the Postimees daily. Up to 40 tonnes of heavy fuel oil may have spilled into the sea, he said. * The nine countries bordering the Baltic Sea and the European Union have agreed on a common vision of a healthy Baltic and a set of strategic goals and ecological objectives that lead to achieving that vision. The plan is based on a proactive ecosystem approach instead of being driven by reactions to pollution events. At the 27th annual meeting of the Helsinki Commission, or HELCOM, held March 8 and 9 in Helsinki, member states and the Commission officially approved the first core elements of what they termed an "ambitious but realistic action plan" to restore the Baltic Sea marine environment. “With this ecosystem approach, protection of the marine environment is no longer seen as an event-driven pollution reduction approach to be taken sector-by-sector," said HELCOM Executive Secretary Anne Christine Brusendorff. HELCOM works to protect the marine environment of the Baltic Sea from all sources of pollution through intergovernmental cooperation between the countries bordering the sea - Denmark, Estonia, the European Community, Finland, Germany, Latvia, Lithuania, Poland, Russia and Sweden. Last year, the Helsinki Commission decided to develop a Baltic Sea Action Plan to ensure that all possible measures are taken to reduce pollution in the Baltic Sea and to repair the damage done to the marine environment. HELCOM expects to finalize and adopt the Plan late in 2007. In developing the Baltic Sea Action Plan, the Commission and member states will identify and detail the kind of actions needed to curb eutrophication, prevent pollution involving hazardous substances, and improve safety of navigation and accident response capacity, as well as halting habitat destruction and the decline in biodiversity. HELCOM approved the establishment of an ad hoc Task Force for the development of the Baltic Sea Action Plan. The Task Force will consist of representatives nominated by the HELCOM member states, representatives of NGOs and from the private sector. One of the main objectives of the ad hoc Task Force will be to ensure political commitment to the development of the HELCOM Baltic Sea Action Plan, linking the scientific work and the political processes. About 143,000 females live in small spots of forest. An estimated 143,000 female flying squirrels live in Finnish forests. According to a survey published by the Ministry of the Environment on Thursday, the population is dispersed into small enclaves in different parts of the country. The most viable habitats are in the coastal areas near Vaasa in West Finland, and in the southwest. The population is fairly sparse in North Karelia, Kainuu, and North Ostrobothnia. The survey is the first study aiming at a comprehensive analysis of the number of flying squirrels in all of Finland. According to the study by Dr. Ilpo K. Hanski, the population has declined significantly since the 1940s, and continues to do so. "All surveys suggest that the population was many times greater 50 - 60 years ago. The number of flying squirrels now is small by comparison", Hanski says. "No areas have been found where the population would have remained stable, or grown." Modern forestry methods, which have encroached on the habitat of the small mammals, are the greatest cause for their decline. The flying squirrels thrive in old-growth mixed forests with an abundance of spruce, where the elusive creatures can build nests inconspicuously. Forests of that type have been felled since the 1960s, and it will be decades before the areas will be suitable for flying squirrels again. Hanski says that the only way to reverse the situation is to change forestry methods, and to make sure that there are enough appropriate trees with good holes for nesting. The reduction in the number of flying squirrels and the splintering of their habitat are seen as serious reminders of the state of Finnish forest nature, says Tapani Veistola of the Finnish League for Nature Conservation. TALLINN - A thick oil slick off the shore of northwest Estonia could kill as many as 35,000 birds, far more than previously feared, as freezing seas hamper rescue and recovery efforts, bird experts said on Monday. Around 3,000 dead birds have been recovered so far, said Vilju Lilleleht, a senior member of the Estonian Ornithological Society. He added studies showed only about 10 percent of avian casualties from oil slicks were ever found. "The real number of deaths could be as high as 35,000," Lilleleht said. TALLINN - An unexplained oil spill in northwestern Estonia has already killed an estimated 5,000 birds, and scientists expect this number to grow over the next few days. On Jan. 30, approximately 1,000 oil-covered birds were detected on the shoreline of Vormsi Island, and another 1,000 on Osmussaar Island, ornithologist Tiit Randla told the Baltic News Service. Randla, who is head of the Osmussaar landscape protection area, explained that it’s practically impossible to save birds whose feathers have been tainted with oil. Birds of many species ranging from mute swans to various ducks, grebes and gulls have suffered. The damage was greatest to long-tailed ducks. 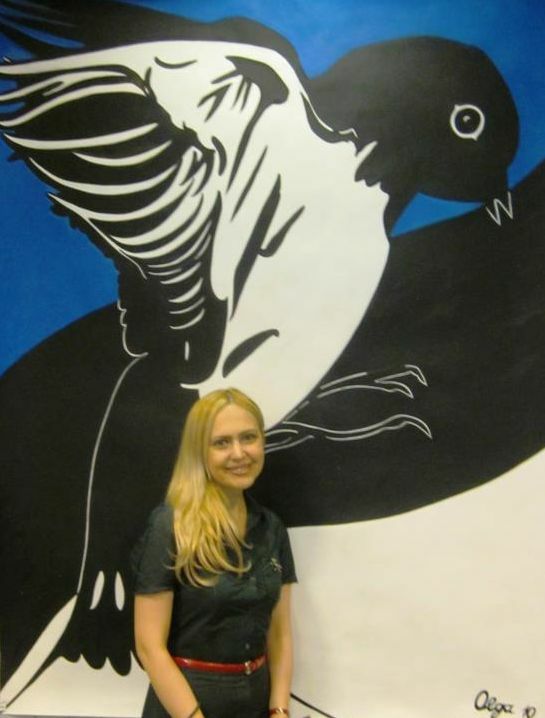 Finland’s STT agency reported that oil-covered birds were also discovered in southwestern Finland. Mikael Kilpi found a dozen birds with oiled feathers near Hanko on the southwestern coast. The birds may have encountered the oil while at sea before flying in the direction of mainland Finland, Kilpi said, as no pollution was detected near Hanko. On Jan. 28, an oil slick was discovered on the coast of Estonia’s northern Harjumaa region and another off the coast of the western Laanemaa region. The toxins came in from the open sea, although the origin of the spill remains to be found. TALLINN - Wind power has fallen out of Estonia’s favor in recent months, with the Economy Ministry deciding to limit support to wind-power producers and Parliament adopting amendments to the energy law that will give preference to other forms of renewable energy. On the other side is Hannu Lamp, managing director of Tuulepargid, which developed the Pakri wind park, Estonia’s largest. He finds the recent decision short-sighted and discriminating. “So far we had no limitations. It took us five years for preparations and the state is turning its back now,“ says Lamp. “There is a good opportunity to gain additional financing through the Kyoto joint implementation scheme from countries with high level of CO2 emissions. These funds last only until 2012. We would not be able to utilize this financing to reduce the cost of green power if the state sets limits on production,” says Lamp. With its long coastline, Estonia has a comparative advantage for generating wind power and can do it at a favorable cost compared to many European countries, argues Lamp. The average payoff period of a windmill investment depends on the site wind conditions, wind power purchase tariff, the cost of capital and share of “carbon” financing. Still, the average return on investment is 10 years, and Kyoto funds could help cover up to 10 percent of expenses. TALLINN – The EU announced that all of Estonia’s seal breeding grounds would be taken under protection, as stipulated by the EU’s natural habitats directive and the Estonian Nature Protection Act, the daily Eesti Paevaleht reported. Under the Nature Protection Act, at least half of the country’s registered breeding and molting grounds must be protected. “The aim of taking these areas under protection is to ensure peace from disturbance by humans to grey seals during the breeding period and to ringed seals during the molting period,” Riinu Rannap from the Environment Ministry’s nature protection department told the paper. *A list of the 800 most important sites for wild plants in central and Eastern Europe has been published by the charity, Plantlife International. Many of the sites contain endangered species and yet a fifth have no legal protection, the group warns. Agriculture, forestry and tourism are the main threats to "Europe's last areas of wilderness", its report says. If they cannot be saved "we risk a spiritual impoverishment such as no generation has known before", it adds. Hundreds of specialists from academic institutions and non-governmental organisations identified the best sites for wild plants, fungi and their habitats in seven countries. They were Belarus, the Czech Republic, Estonia, Poland, Romania, Slovakia and Slovenia. *When Estonians voted on 14 September 2003 on whether to join the EU, some of them had a good reason to remember one of the biggest final obstacles that the European Commission put in the country’s path to the EU. The referendum came on the eve of the moose-hunting season. If the EU had had its way, there would have had no moose shot starting from 2004. Nor would there have been any hunting of bears, wolves, lynx, and beavers. In the end, in the very final phases of negotiations, Estonia won concessions. Under license, all four species can still be killed each year, though there will be new rules for bear hunting. To Estonians, it is something of a mystery why the EU stuck so long to its (metaphorical) guns. In 1995 two other countries with a Baltic shoreline--Sweden and Finland--joined the EU and managed to win exceptions. Sweden retained the right to hunt bears, while Finns were allowed to hunt bears and also lynx. Sometimes the right was hard-won. 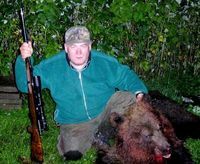 Andres Lillemae of the Estonian Hunters Society says that attacks by bears killed one man and left two men in wheelchairs before the EU granted an exception. “The more bears there are, the more they may have contact with people,” he says. Perhaps it was the relative richness of wild animals in Estonia that made it difficult for EU functionaries to understand the Estonian position. According to Peep Mannil, an official at the Environment Ministry, Estonia has 450-550 brown bears, 600-800 lynx, and 100-150 wolves. This effectively makes Estonia the European modern-day homeland of the brown bear and the lynx. 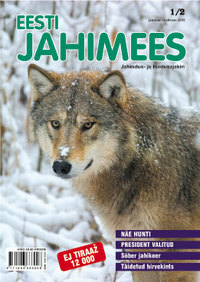 It also has the second-largest ratio of wolves to hunters in the Baltic, behind Latvia. The Baltics and the Carpathians are the only regions in Europe where the wolf is not a complete rarity. All three animals are more frequently sighted in Estonia than in either Finland and Sweden. Other figures indicate that Estonia has a relatively large number of moose, and wild boar--already common and a popular target for hunters in winter--are becoming more numerous. Increasing production of food crops has encouraged their expansion. Estonian hunters argue that, without proper control, the populations could grow out of control. They believe that they have shown themselves capable of managing these big, prized animals. With some exceptions, their populations have remained stable. But what particularly concerned them was the explosion in the relatively humble beaver. Hunted to extinction about a century ago, the beaver was re-introduced to Estonian lakes and rivers in the 1950s. They have bred relatively fast. There are now 16,000 of them, enough--so local press reports have claimed--to destroy thousands of hectares of forest. Only in Latvia is the beaver more common. “There are so many beavers that they are fighting each other for living space,” says the Hunting Society. “Many of the beavers that are caught have bite marks.” The beaver is an animal with no natural enemies. Culling is therefore all the more important, hunters argue. Under EU regulations, 25 to 30 wolves can be shot annually, Mannil says. Around 20-30 bears can be killed a year, while the lynx cull will remain at 100 a year. Environmentalists are planning to reserve a few lakes for beavers and direct hunting to areas where the beavers are damaging property and costing money. The victory has some strings attached. If the number of lynx falls over the next five years, the European Council will pass a qualified majority vote to end Estonia’s exception. But obscured by these tussles is a broader change in hunting--by northern European standards, Estonia may be a relatively small hunting nation, but hunting is a way of life for a small, 1 percent minority. There is good reason: 51 percent of the country is forested and the forests teem with wildlife. But the number of hunters has dropped by a quarter over the past two years, to 15,000. As a percentage of the population, hunters are three and a half times less common in Estonia than Denmark and Sweden, and six times rarer than in Finland. An overall drop in Estonia’s population, and a decline in interest among the young may be factors. So too might money. Hunting the biggest and wildest game can be a relatively expensive past-time. In the mid-1990s, fewer Estonians were able to afford it. In the mid-1990s, the decline was good for the wolf population, which soared to over 700 in 1994. A massive cull followed, with about 350 being gunned down in 1995. If fewer and fewer Estonians continue to hunt, could we see a similar swing in the population? If so, hunters from Denmark and Germany--countries with far more hunters but fewer prey--are, it seems, interested in bagging a prize or two. They can already get licenses to shoot in Estonia. Tallinn - Spring, at last, is in the air, as are the birds, the bees and the butterflies of the Baltic states. Estonians are already seizing the opportunity to renew their love affair with the natural world, a relationship epitomized by the ostrich farmer who made international headlines when, on Valentine’s Day, he presented his wife with a pair of kangaroos. Estonia’s first nature reserve was founded in 1910 on the island of Saaremaa. Its first eco-law was adopted in 1935, but Soviet occupation soon curtailed this plan. In 1958 Estonia passed further legislation, the first in the Soviet Union, to protect its wildlife. The Estonian Fund for Nature was established in 1991. Today, 565 species are protected, as is more than 10 percent of the land. This focus on the natural environment has prompted a whole slew of discoveries. In 1992 alone, nine new types of mushroom were unearthed on the islands of Vormsi and Saaremaa. The third millennium was heralded by the discovery of a new species of cyst-forming nematode worm. In 2001, the nation’s ornithologists enjoyed their first views of the American widgeon, the white-tailed plover, the sharp-tailed sandpiper and the rufous-tailed shrike. The following year, Blyth’s pipit was added to their lists. In 2003, an undocumented species of carabid beetle was revealed beneath a pile of seaweed on a sandy island beach, and last year, an obscure breed of microzepid fly was reported for the first time. Just last month, a farmer stumbled upon a "rat king"– sixteen rats living as one with their tails intertwined. This is an extraordinarily rare phenomenon as only 58 have ever been reported, including three in Estonia. A similar anomaly has also occurred, on even fewer occasions, with squirrels. Sadly, the farmer was unaware of the significance of his find, and rashly dispatched the grotesque gestalt.